Supreme Gums ensures the highest standard of quality in production, packaging and supply. Cost effectiveness and on-time delivery are other traits of the trade that the company follows to meet expectations of the international clientele. 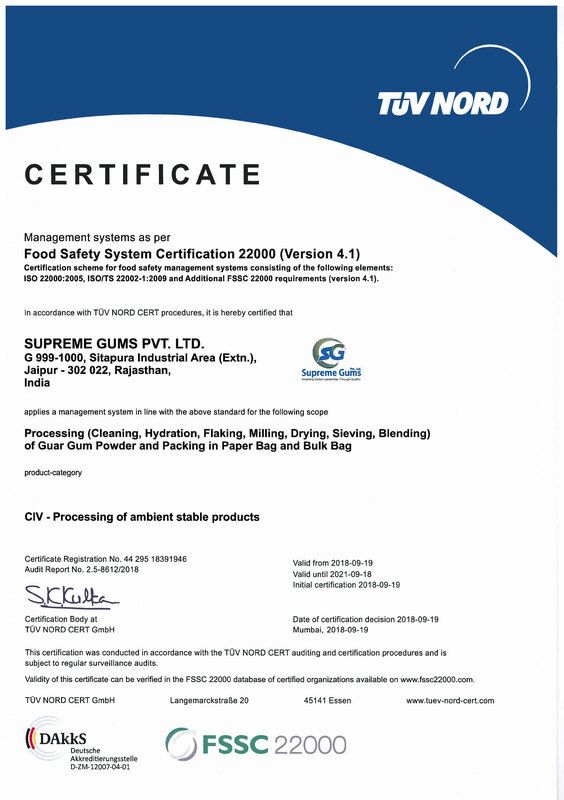 Industry Grade Products: Supreme Gums supplies guar gum powder and other products for a range of applications in industry sectors including construction, textile, cosmetics, pharmaceuticals, paper, oil well drilling, mining and explosive. 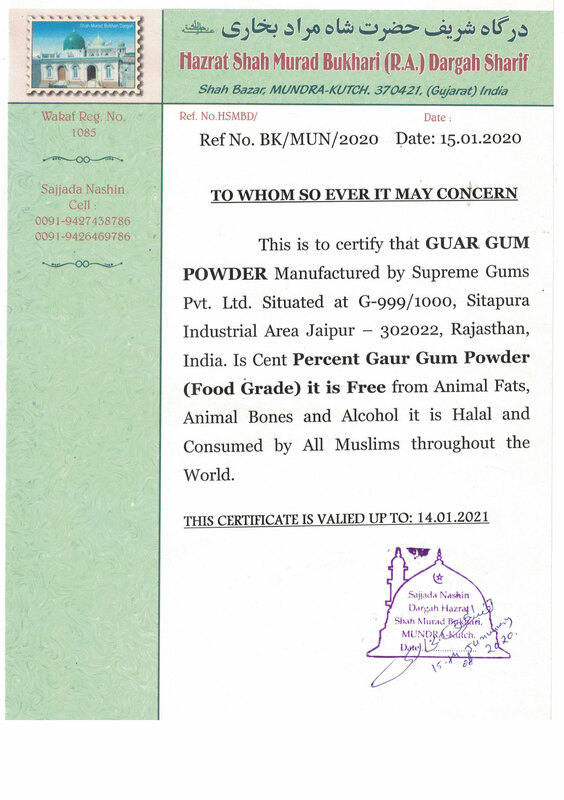 Food Grade Products: Supreme Gums is a major supplier of guar gum in the food sector. 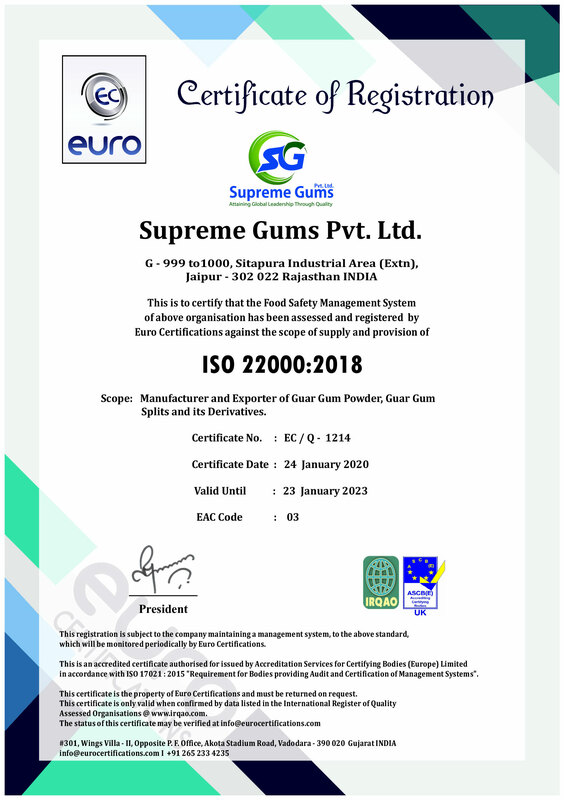 The company supplies guar gum for its use in ice-cream, dairy products, bakery, soups, gravies, noodles etc and has passed the most strictest of quality audits for Food Grade Compliance. Rajasthan is one of the world’s largest guar producing regions. 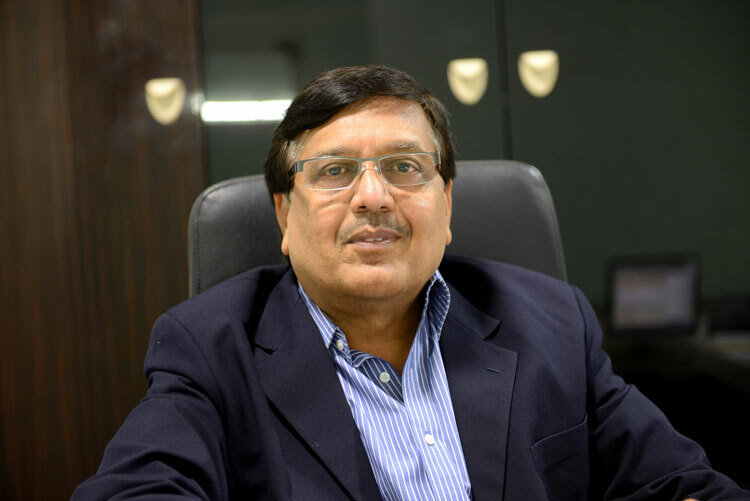 It is the result of our commitment towards quality that the demand for guar gum produced by us is phenomenally growing. 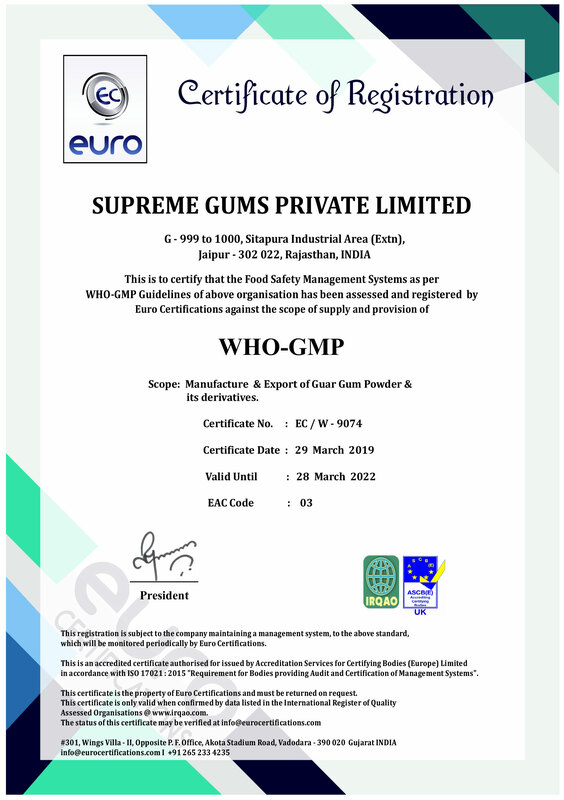 Supreme Gums was founded in 2002 with a production of 2000 MT. The company now exports 20000 MT annually to 45 countries and the production is likely to go up in the coming time. 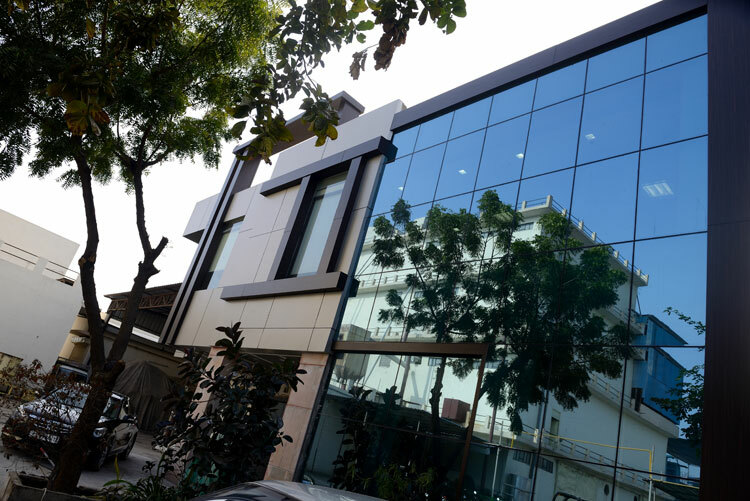 It is the result of hard work and visionary approach of people associated with the company that we have ensured highest standard of quality, cost effectiveness and on-time delivery. We would like to thank our clients for having faith in us whenever they needed quality services.